We have recently purchased this armchair at auction. Known as the Famulus, it dates from the mid 1930s and was designed by J P Hully and made by P E Gane and Co. of Bristol. John Parkinson Hully (1882 – 1944) worked for Gillows of Lancaster before becoming Chief Designer for Bath Cabinet Makers. By the mid 1930s he was in-house designer at Gane’s, coinciding with Marcel Breuer’s time as Consultant to the firm in 1935-36. The chair is made of birch and formed by the intersection of steam bent curves, the arms bending through 180 degrees to form sledge feet. 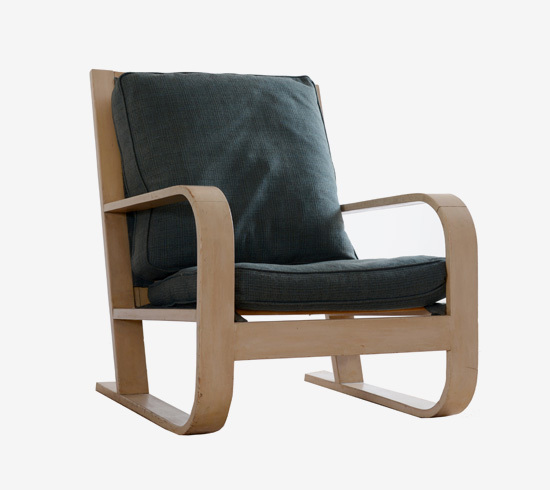 At first glance, this is a feature it shares with the armchairs designed in 1935 by Marcel Breuer for the home of Crofton Gane, however, on those chairs the arms are composed of two sections, only partially bent and then pegged together. 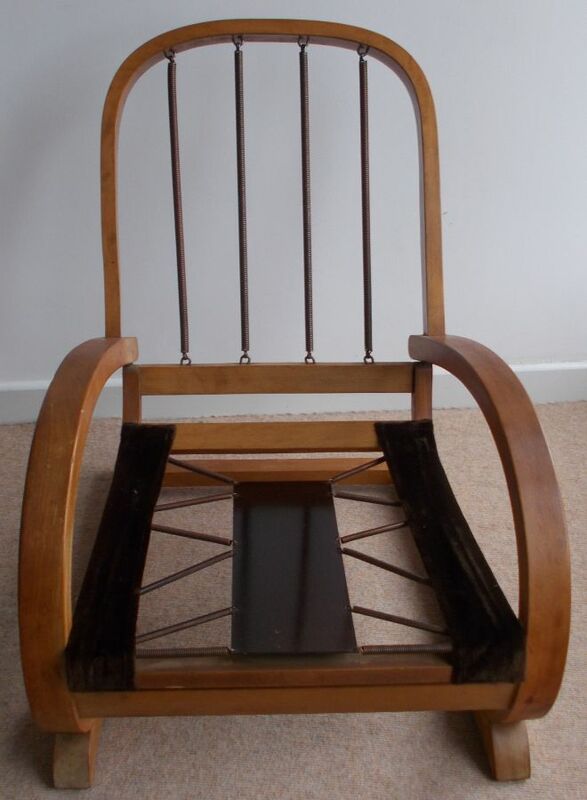 This chair must therefore date from after 1935, when Gane’s had acquired the machinery necessary for steam bending. An identical chair, which belonged to Virginia Woolf, is in the collection of the National Trust at Monk’s House in East Sussex. 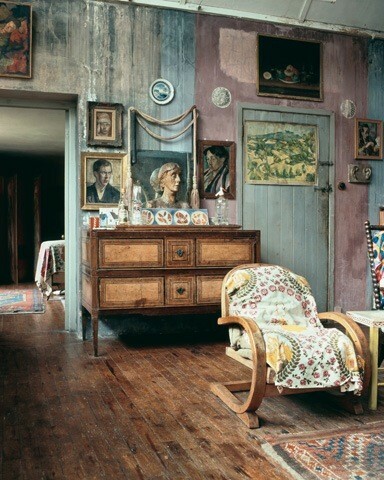 Apparently Woolf bought a number of these chairs in the late 1930s for Monk’s House and gave one to Vanessa Bell and Duncan Grant, which is now in the Studio at Charleston. Famulus chair in the Studio at Charleston. Copywright National Trust images. As soon as funds become available, the current 1970s brown Dralon upholstery will be replaced with something more period appropriate. This entry was posted in Breuer, Furniture, Interior Design, Modernism and tagged Chair, Design, Furniture, Gane House, J P Hully, Marcel Breuer. Bookmark the permalink. I have a chair with a label ‘Famulus Patent’ but it is a semi-recliner. I would be interested to know how old it might be. I think early 20th century as it was given to my parents over 50 years ago. I am extremely sorry not to have replied to you ages ago. The blog was not being kept up for several months for various reasons and then when I got back to it I didn’t notice your message. We are very interested to hear about your chair. The chair we have has a patent number registered in the winter of 1935/6. The patent is for the spring system rather than the chair itself. The chairs will therefore date from 1936-1940 when the factory was bombed. There are several variations on the basic design. 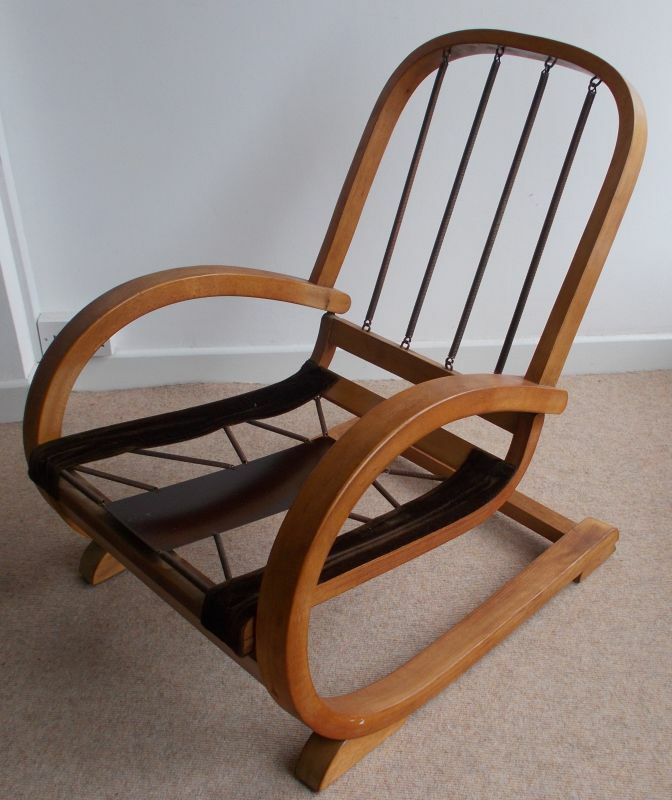 The name Famulus came to us via the National Trust – they have a similar one at Charleston – but we are not sure why they connect the name to their chair. If yours is labelled Famulus then it will be the correct chair for the name and it would be great to see some pictures to compare.